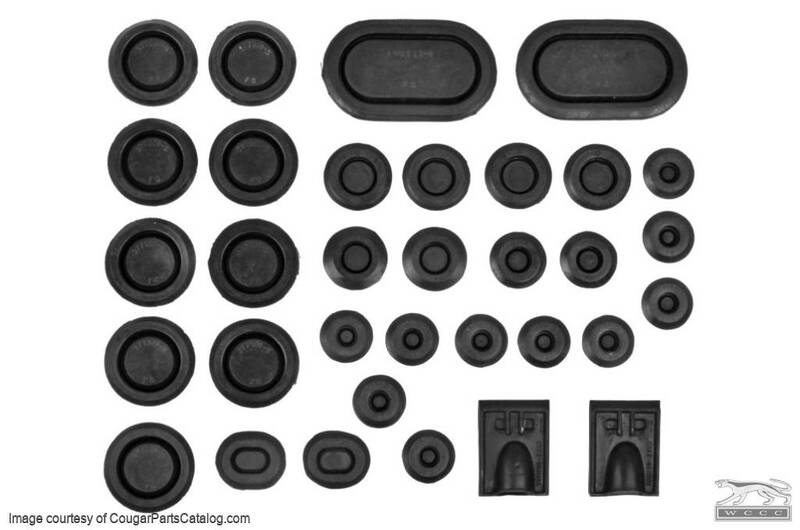 This kit includes 33 pieces and has the quarter panel drain valves. This plug kit is quality and has all of the plugs I needed for my Cougar. Solves the problem of missing plugs or sealing the car from the little critters. Good quality reproduction. They fit well and look like the originals. Durable rubber and are sure to last. Only wish is they came with a diagram for where they all go. Would make it easier for the ones I didn't really need to replace, but had the rubber set and figured I might as well use them all.